EDITOR'S CHOICE: We've handpicked the best of the best St Kilda wedding venues to help you pick the right one for your big day. This vibrant harbourside suburb of Melbourne is an excellent place for a wedding celebration. A wonderful fusion of history, urbanity and beachfront, it is filled with boutique venues, cute restaurants and exciting nightlife. Easy to get to from all parts of Melbourne as well as for interstate and overseas visitors, it shows off the best that this great city has to offer. If you are looking for a world-class yet personal and unique wedding reception venue in St Kilda this list is the only one you will need. Riva is a magical place of contrasts, luxury and celebration. From intimate dinners for just 20 to marquee fiestas of 2000, every style of wedding can be brought to life in this beachside location. The modern dining rooms are opulently appointed and offer every comfort your guests require. You can select from a range of packages, decorations and dining options to craft a unique waterfront setting for a gorgeous day. This is an award-winning venue with a backdrop of shimmering water and golden sunsets. Encore is a chic beachside setting which offers a wonderful blank slate to craft your perfect dream wedding day. The space provides a choice of layouts and can cater to small and large groups in contemporary splendour, backed by delicious cuisine and premium drinks packages. The Prince Deck in the historic Prince Hotel is something quite extraordinary. A sophisticated modern entertainment area within the heritage building, the Prince Deck has become a premier wedding venue, with floor to ceiling windows looking out on the timber deck and across the city and bay. The deck is nestled in lush greenery, perfect for an outdoor ceremony with incredible views. No two weddings are the same here, but they are all incomparable and unforgettable. One of Melbourne’s oldest and most iconic event spaces can be found in the George Ballroom. First opened in the 1860s, the venue has been stunningly restored to its original elegance. The art deco interiors will wow your guests and provide a spectacular backdrop for your wedding album. The devoted event planners will guide you through the various packages to ensure your day is perfect, personal and completely stress-free. The Harbour Room is located upstairs at the Royal Melbourne Yacht Squadron and offers a distinctive rooftop space with gorgeous water and city views for your unique wedding day. The backdrop is sensational for your ceremony, and your guests can dine, drink and dance under marquees overlooking the sunset and skyline. With catering provided by the wonderful food & desire. This is an outstanding venue with a history as rich as St Kilda itself. Newly refurbished with timber floors and panoramic windows, your guests will look out onto the golden beach and glistening waves while toasting to your wedded future. Supported by award-winning catering, this venue is an exceptional blank slate to craft your ideal celebration. For the couple looking for something truly unique, you must check out Luna Park. The space offers some exceptional reception settings including rooftop views across the water and the city, as well as some super fun photo opportunities amongst the rides of the park. The dedicated event staff will help you every step of the way with your menu choices, decorating touches and all of the tiny details. Red Scooter is a one of a kind venue for the couple who are looking for something completely different. Tucked away in Balaclava, behind St Kilda, the space offers three event spaces, all which have been refurbished from an uber-cool factory setting. Now decorated with oversized mirrored walls, ornate chandeliers and Parisian inspired lounges, this venue will have your guests talking about your big day for months afterwards. Just a couple of suburbs away in Ripponlea you will find the incredible old dame known as QuatQuatta. 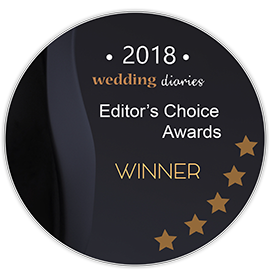 A heritage building and grounds built in 1890 that will make you feel like royalty, this venue offers a number of indoor and outdoor locations for your day, including the manicured courtyard, the stunning dining room and the immaculate bridal retreat. With delicious food and premium beverage packages, your guests will want for nothing. St Kilda has some remarkable history but also some hip modern venue spaces unlike anything you’ve seen before. Backed by the service and excellence of the Rydges hotel group, you can choose from a number of unique spaces for your St Kilda wedding day. Their comprehensive wedding packages include decorations, catering, accommodation, entertainment and everything you need for the perfect day. This is an intimate venue with an unforgettable atmosphere that you will instantly love. The weather in Melbourne can be temperamental, cold and windy in winter and very hot in summer, but the city is especially beautiful in spring and autumn. 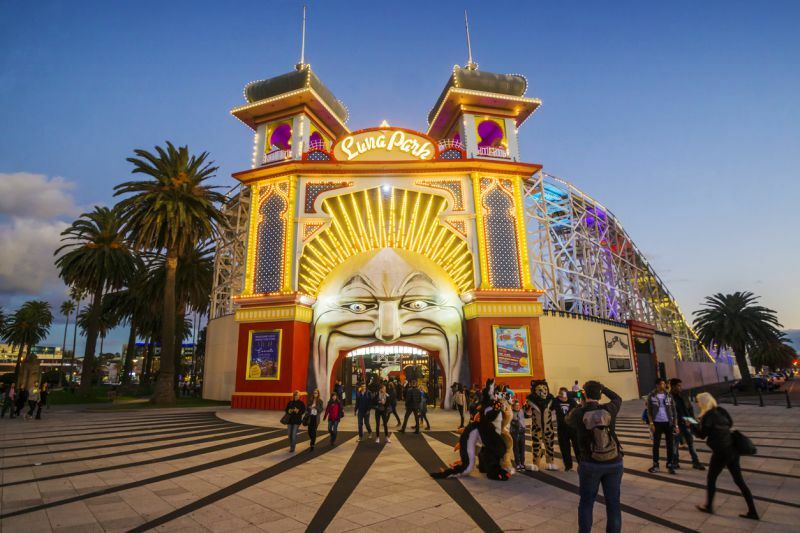 St Kilda is a precinct with plenty to see and do. It is an eclectic mix of heritage buildings, refurbished factory spaces and urban rooftop gardens. The views across the bay and the city skyline make for an amazing wedding album, while the gourmet food culture of this region is renowned. Your guests from other parts of Australia and the world will love that you chose St Kilda as your celebration setting, and none of you will ever want to leave.